Our experts focused on creating low-velocity juvenile fish rearing habitat and reconnecting historic floodplains. 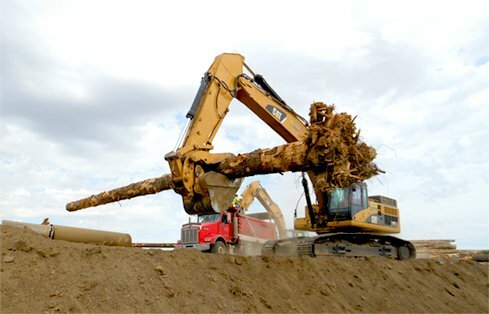 Habitat enhancements included constructing a 400-foot pile-supported engineered log jam (ELJ) structure. Engineered log jams jumpstart stream ecosystems by providing shade, nutrients and habitat for fish. They are also sustainable, and continue to collect floating woody material over time. The final river design included removal of nearly 2,300 linear feet of confining levee. and the addition of a 1,000-foot side channel with additional habitat. Improving fish species’ health in the Walla Walla River by enriching juvenile fish habitat. 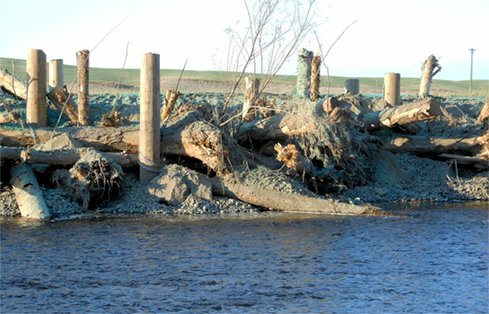 Before this project, the 1.5 miles of the Walla Walla River southeast of Lowden, Washington, was far from ideal fish habitat. The reach had a deeply incised channel, confining levees, and other agriculture-related impacts making fish habitat almost non-existent. In 2013 the Tri-State Steelheaders (TSS), a non-profit fisheries enhancement group, hired GeoEngineers to design new river habitat along the reach. Their goal was to measurably increase salmonid fish populations in critical watersheds throughout Washington, Oregon and north-central Idaho. 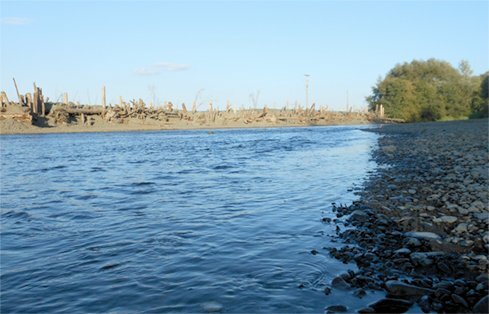 In close collaboration with TSS, private landowners, stakeholders and regulatory agencies, GeoEngineers completed an alternatives assessment and conceptual design for river and floodplain enhancements along this 1.5 mile reach of the Walla Walla River. 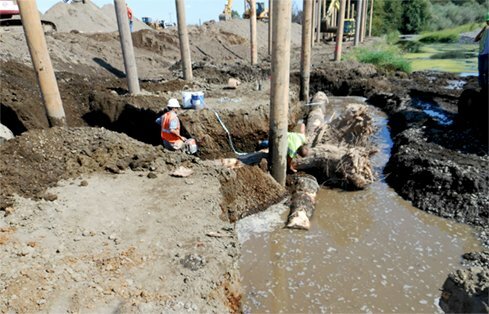 Construction of a 400-foot pile-supported engineered log jam (ELJ) structure. Removal of nearly 2,300 linear feet of confining levee. Designs allowing the river to flow into a 1,000-foot side channel. Considerable coordination and collaboration with four project-area landowners. On-site construction monitoring for the duration of the project. By focusing on juvenile fish habitat, the team maximized the impact of the new habitat on overall fish populations. The project reach now contains high-quality habitat that will sustainably support the TSS’ goal for salmonid populations throughout the Pacific Northwest. The GeoEngineers team is currently working on additional restoration designs in adjacent reaches of the Walla Walla River.